Hospital acquired candida infections are gaining significance worldwide. Candida is a well known etiological agent causing blood stream infections, associated with high mortality rates. A team of microbiologists from Sir Ganga Ram Hospital, New Delhi retrospectively investigated the trend in the epidemiology of candidaemia and the use of antifungal agents at a tertiary care hospital, over a period of 10 years and the results are published in the recent issue of Indian Journal of Medical Research. The frequency of candidaemia occurrence and the antifungal use were observed to be significantly higher. elevated. 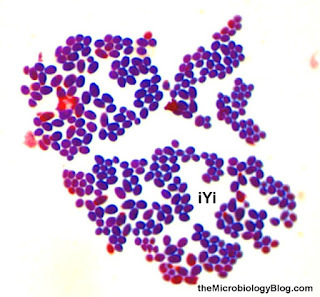 Blood stream infections caused by species of Candida other than Candida albicans were observed to be on the rise and this increase was found to be correlating with increasing usage of fluconazole. The researchers have noted increased isolation and emergence of Candida haemulonii, a novel species of Candida which was most isolates of these were found to exhibit decreased susceptibility to amphotericin B and azoles. This observation of a shift in epidemiology of candidemia to non-albicans Candida species and the emergence of amphotericin B and azole resistant strains are causes of severe concern and call for immediate action towards judicious use of these antifungal agents.